Not exactly gem material and free of flaws but this piece is an incredibly fine colored spinel! 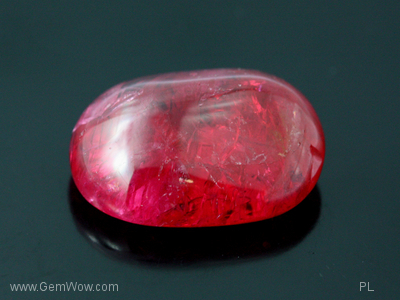 It's a kind of red that resembles a ruby and "fiery red" in nature. Best viewed in daylight, it's fluorescence make the stone even more desirable. Suited for antique or made to order fine jewelry, this piece is certainly a treasure to behold and keep forever. A quick review of the spinels sold in Christies and Sotheby's will definitely make this bauble look very inexpensive. Physical description: Spinel is usually found in shades of red, pink, orange, lavender, blue, purple, brown, grey and even black. Transparent red spinels were once considered rubies due to their matching brilliance but since the discovery that rubies are corundum, red spinels are now called spinel-rubies or balas-rubies. 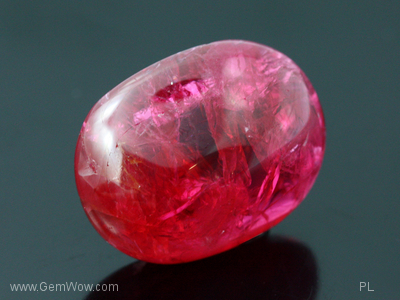 Symbolic description: Spinels are thought to protect the wearer from harm and to sooth sadness. It is also a stone of wealth and prosperity. 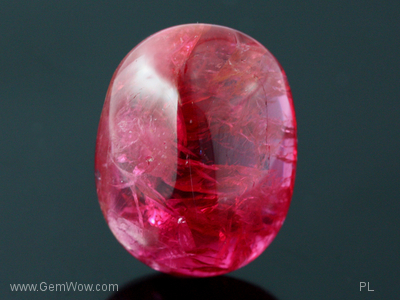 Origin: Spinel comes from such countries as Burma, Vietnam and Sri Lanka. The best quality spinels are found in Myanmar. 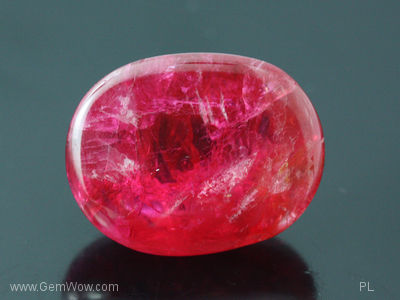 Purpose: As spinels come in many wonderful shades, they can be matched with many different types of attire.